This entry was posted in Mental Health, Recovery & Support and tagged Addiction, Co-Occurring Disorder, Signs and Symptoms, Treatment on September 19, 2016 by Team Addiction Hope. Until as recently as the 1990s, people thought of addiction as a condition separate from mental illness. While this was not necessarily wrong, it meant many addicts did not get the help they needed for preexisting mental conditions. These individuals did not receive complete treatment, and their recovery processes were more difficult. Yet, at the same time, many mental health services deny treatment to patients until they are clean and sober. Fortunately, we now know how often addiction and mental disorders go hand in hand. A new type of treatment – dual diagnosis – is gaining momentum for effectively treating both conditions. What is dual diagnosis? It’s is a cutting-edge, 21st-century treatment that appears to be yielding positive results. Dual diagnosis treatment is based on the belief that mental health disorders and addiction are part of a continuum. Those who experience addiction to alcohol, drugs or other harmful substances are likely to suffer from anxiety, depression or another type of mental disorder. In the same way, a person who already has a mental health diagnosis is more likely to engage in substance abuse as a coping mechanism. Viewing mental health and addiction on a continuum helps physicians and counselors treat the whole person. 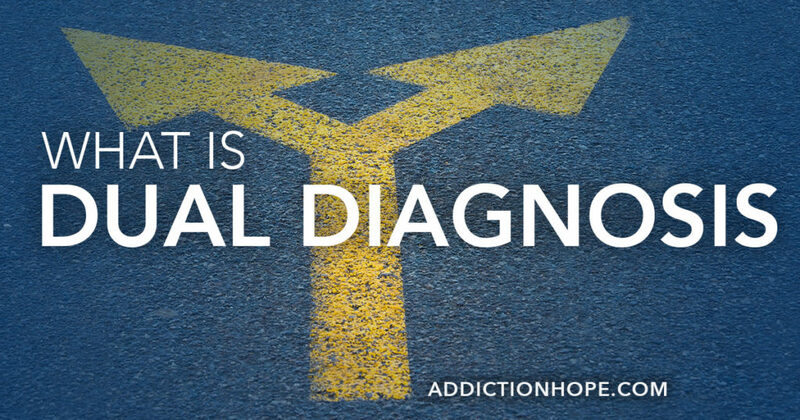 Additionally, schools and clinics that subscribe to the dual diagnosis treatment method can give their clinicians the training and credentials needed to treat both addiction and mental disorders. Is Dual Diagnosis Treatment Needed? Some people balk at the idea of dual diagnosis. They picture themselves being defined only in terms of labels. While this is a legitimate concern, dual diagnosis actually helps people receive more effective treatment. Most clinicians are not interested in labeling people. They use dual diagnosis as a tool to facilitate understanding of the whole person. For example, if you had a dual diagnosis of alcoholism plus depression, your clinician would easily understand why and how your self-esteem plays into the alcoholism. Back in 2002, a study by the Department of Health and Human Services’ Office of Applied Studies found that at least 4 million Americans had a dual diagnosis, yet only 12 percent of them were receiving treatment for both addiction and mental health disorders. Although the dual diagnosis treatment rate has improved since then, many medical professionals and treatment centers still struggle with recognizing two disorders at once. Dual diagnosis is also difficult to approach because people need individualized treatment plans tailored to their mental and addiction issues. Therefore, patients must speak to a physician, counselor or other clinician about their conditions as openly as possible in order to receive a proper diagnosis. Almost any mental disorder can be part of a dual diagnosis, but some are more common than others. Post-traumatic stress disorder (PTSD) is often connected to substance abuse and other addictions. Although PTSD is commonly associated with combat veterans, anyone who has experienced trauma can develop it. People with PTSD frequently deal with flashbacks, nightmares and triggers of the event that caused their disorder. They often experience depression and hopelessness, which could actually lead to a trio of diagnoses if, as often happens, they turn to drugs or alcohol to cope. The more unpredictable and uncontrollable the traumatic event was, the higher one’s risk of developing PTSD and turning to substance abuse. Several other mental disorders lend themselves to substance abuse and dual diagnosis, especially ones that are difficult to pinpoint and treat. For instance, bipolar disorder can masquerade as any number of other conditions, including depression, ADD/ADHD, or oppositional defiance disorder. At times, people who are medicated for these conditions end up abusing their prescription, leading to the need for dual diagnosis treatment. If you suspect you or a loved one may have a mental disorder alongside substance abuse issues, an addiction specialist or mental health professional must examine you. You also may need or want an exam from your primary care physician, who can refer you to these specialists. Don’t hesitate to seek help from a licensed medical professional or treatment center that is capable of providing dual diagnosis treatment.